Over the next five years, NATO nations (especially the US) will considerably reduce their investment in Defense and Security Unmanned Aerial Vehicles (UAVs) while the non-NATO world will move into those military and police UAVs in a relatively big way. This is but one of the crucial conclusions reached by the team that researched and composed new forecast. The US DoD is changing its focus from Counter Insurgency to a more traditional conflict against a near-peer. That move will reduce the need for expensive UAVs, but will increase the need for fast, stealthy, survivable UAVs. 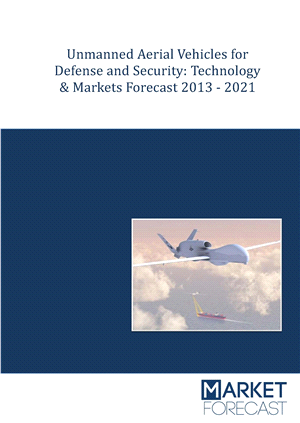 This new forecast provides a triple-scenario analysis, examining the global evolutionary paths of Defense and Security UAVs over three possible futures – displayed by regions, system types and technologies. This unique research effort also presents multiple business opportunities, logical operating concepts and background data on imaging and radio payload coverage. Together, those features equip developers with a clear understanding of evolving markets, buyers with technical insights and sellers with insights into buyer’s needs. 2.1. What are UAVs for Defense and Security? 10.2. What is an Operating Concept? 12.3. US Market Dominance – Decline or Increase? 12.4. So, How to Sell?